The 8065 is a quintessential schoolgirl look reinterpreted with uncompromising style, like decorative brogue perforations and chunky roller double-buckle fastening. Made with our rich, soft Virginia leather, these adult-sized Mary Janes retain plenty of Doc's DNA, like grooved edges and yellow stitching. 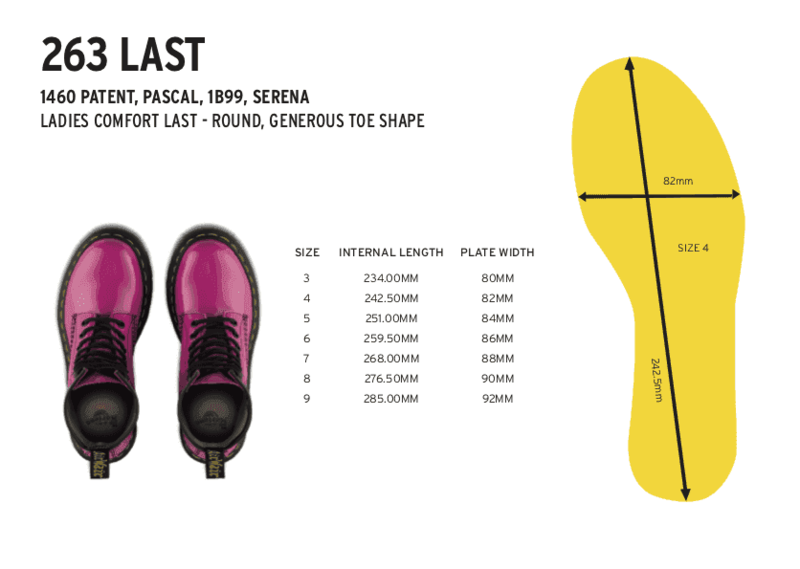 The women's shoe is built on our iconic air-cushioned sole, that's oil and fat resistant, with good abrasion and slip resistance. Durable and solid, the sole is secured using one of the finest construction methods available: the Goodyear Welt.